A couple of months ago we announced the news about the release of Harry Potter: Hogwarts Mystery . Today, we already know your departure date. It will arrive on the App Store on April 25 and will be compatible with iPhone and iPad. 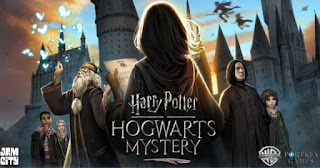 Harry Potter: Hogwarts Mystery will be a graphic adventure game that will integrate RPG elements into a story that players can modify according to their own decisions and choices. The development company Jam City has confirmed that the Harry Potter RPG: Hogwarts Mystery will land on the iOS App Store and the Google Play Store for Android on April 25. 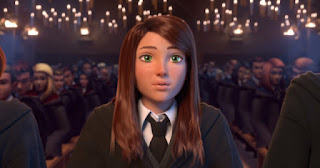 It will be a completely free game in which the players of Harry Potter: Hogwarts Mystery will have the possibility to create and personalize their Hogwarts student , study spells, make friends and make crucial decisions that will affect the course of the story. On the other hand, Jam City announced that this mobile game for iPhone, iPad and iPod touch has had the help of six actors from the Harry Potter films. The actors have voiced some of their characters, we talked about Dame Maggie Smith (Professor McGonagall), Michael Gambon (Professor Dumbledore), Warwick Davis (Professor Flitwick), Sally Mortemore (Madam Irma Pince), Gemma Jones (Madam Pomfrey) ), and Zoe Wanamaker (Madam Hooch). "Our goal with Harry Potter: Hogwarts Mysteru is to make players feel for the first time that they are studying at Hogwarts." By incorporating the voices of the actors who embody the charismatic characters of the saga, the company has managed to provide fans a much more fun experience with this interesting game for iPhone and iPad. On the other hand, and to finish, we also know that Niantic prepares its own version of Harry Potter in the style of Pokémon GO . That is to say, a game of augmented reality based on the films of the saga that will be called Harry Potter: Wizards Unite.